This post is especially for my Qatar readers! I know that school holidays are coming next week and for some spring break isn’t far behind. You may be looking for some places to get away for the breaks or for a weekend away since sometimes you feel the need to get out of Qatar and not just out of Doha. While Qatar is a peninsula, sometimes it feels like an island. You can only go to Fuwairit Beach or the Inland Sea so many times. Maybe your kids are off, but you aren’t? Here are some of my picks for a quick weekend getaway from Qatar! Kuwait – 1.5-hour flight from Doha. Now is the perfect time to visit Kuwait if you can get away quickly. From March 17-19, the Taste of Kuwait: Kuwait Food Festival is happening. If you need to get away and have children, Kuwait is a great choice as they have The Scientific Center. It includes an aquarium, an IMAX theater, and a dhow harbor. It’s even open on Friday afternoons! Be sure to schedule your visit during feeding time of sharks or rays! The shopping is also great, and it’s cheaper than Doha! Istanbul – 4.5-hour flight from Doha. The hardest part about this trip will be deciding what to do first! 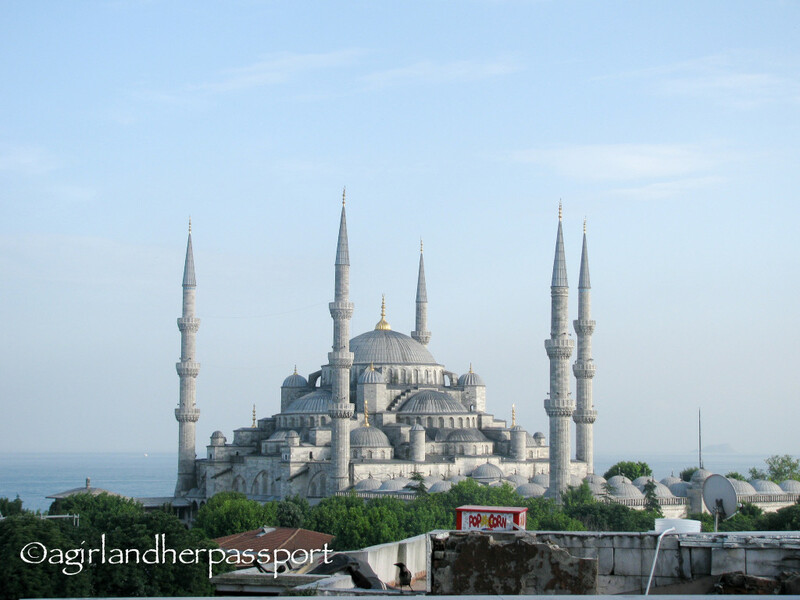 The Blue Mosque and the Hagia Sophia are not to be missed. They are beautiful architectural wonders. My other favorite thing was to visit the Harem at Topkapi Palace. There is so much beautiful tile to see. For shopping most people head to the Grand Bazaar, which I recommend for the experience alone, but the real shopping treat is just behind the Blue Mosque at the Arasta Bazaar. It is a bit more expensive but more authentic and smaller if you have kids in tow! Jordan – 3.5-hour flight from Doha (to Amman). 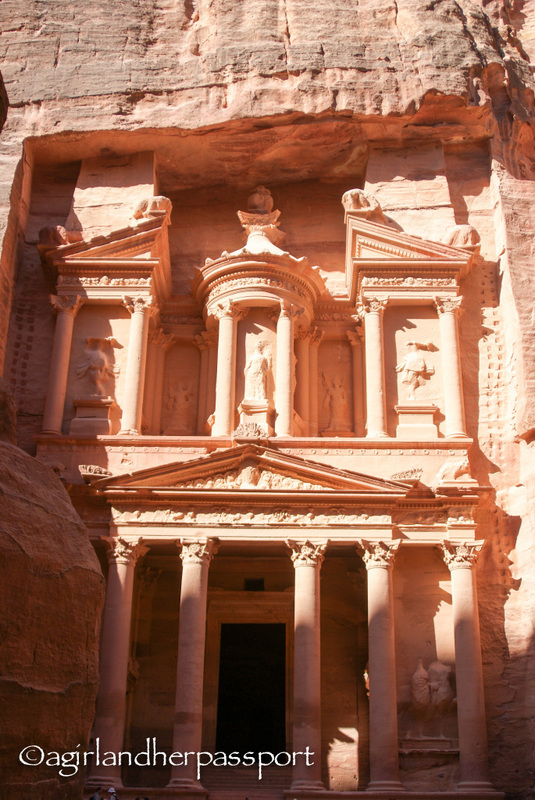 While there is tons to see in Jordan, I highly recommend going to Petra first. This is especially true if you haven’t seen Jordan before and have little time. I spent a day and a half in Petra and really wanted more time. The ruins just never end. I recommend getting a guided tour for a few hours, as there isn’t much signage. Then you can explore on your own. On your way to Petra, you can stop at the Dead Sea. My other favorite stop was at Mt. Nebo. It offers amazing views of the Dead Sea and the Jordan River valley. If you are going to drive in Jordan, check out my tips for driving there. Maldives – 4.5-hour flight from Doha. If you are looking for a relaxing beach vacation, then look no further. Pristine beaches and a variety of price points to suit each budget are to be had depending on which resort you choose. You will have to take a boat from Male to reach your resort, but then you can spend the rest of your trip in your bathing suit! You can go diving, snorkeling or get a spa treatment. Make everyone jealous with your amazing tan. Salalah – 2-hour flight from Doha. This is very close but about as different as it gets! Mountains and green forests await you as well as beautiful beaches. You won’t believe you are still on the Arabian Peninsula. For the history buff, there is the Museum of the Frankincense Land. At the museum are ruins of Al-Baleed. Al-Baleed was the home to the port of Zafar where frankincense was shipped to India. There are lit walking paths that are open till 8 pm. Be aware the museum is closed every day from 2-4 and only open from 4-8 on Thursday and Friday. Egypt – Be like me and head to the pyramids. While I don’t have kids, I do have to work during Spring Break, so I am heading to Egypt a few weeks before. The weather is cooler and will make hiking around in the desert much more pleasant. You can book a tour for Cairo and beyond. There is even a direct flight to Alexandria if you fancy visiting the most famous library in the world! 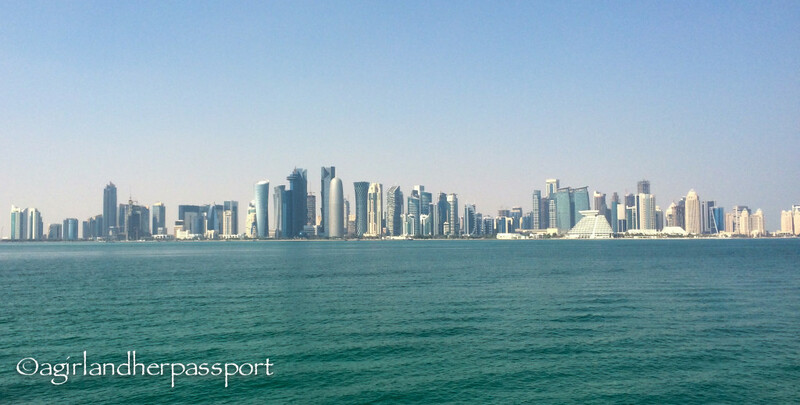 I hope this helps you plan your weekend escape from Doha. Is there someplace you have been that you would recommend or want to go? Share with us in the comments! A version of this post was originally featured on Funky Qatar Blog.